3D Touch is the name Apple has given to the force touch-like technology in its iPhone line. On the Mac, Apple calls the technology Force Touch. It works through a sensor array beneath the screen (or trackpad, on the Mac) that measures microscopic changes in distance as the pressure from your finger increases. Rather than just being able to tap on an icon (or the screen) for a single action, 3D Touch allows for a whole new set of actions based on how much force is applied. Here you'll find everything you need to know about 3D Touch, so don't go too far! Delete those unwanted apps — bring on jiggle mode! Though the process for deleting an app from your iPhone or iPad hasn't changed much, now that there are a lot of other things you can do when you press and hold an app, you've got to be a little more delicate. Haptic feedback technology company Immersion has filed a new complaint against Apple, saying that 3D Touch on the iPhone 6s line and Force Touch on Apple's MacBooks violate a number of patents. 3D Touch peek and pop aren't just gimmicks — they're interface accelerators. The iPhone SE's form factor is great, but without 3D Touch, it's not the phone for me. 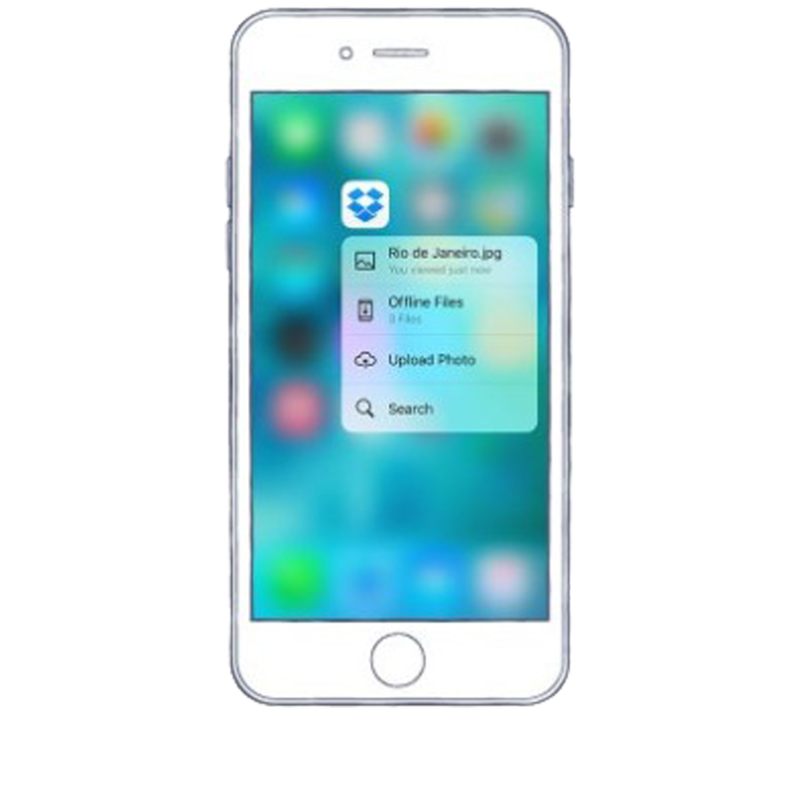 3D Touch makes saving to PDFs a breeze on iPhone! All the Apple Watch Force Touch options! Force Touch on the Apple Watch is like a secondary (right) mouse click on the Mac or Windows. And just like that click, a lot of cool features can be found within! Microsoft has pushed out big updates for two of its iPhone apps: Bing and Cortana. Both apps now support 3D Touch on the iPhone 6S/6S Plus, as well as a bunch of other features specific to each app. Facebook has started rolling out support for 3D Touch peek and pop in its app for a small subset of users. Thrilling 3D Touch tricks for your iPhone 6s! Once you master 3D Touch it's like having a warp-tunnel through iOS—it makes everything faster. Apple is reportedly working on some new scalable 3D Touch tech for iPad-sized screens that could make its debut on the generation following the upcoming iPad Air 3. Microsoft has pushed out a new update for its Outlook email client for the iPhone, adding in support for 3D Touch actions on the iPhone 6s and 6s Plus. Microsoft has updated its OneDrive app for the iPhone and iPad, adding in support for the 3D Touch features found on the iPhone 6s and 6s Plus.